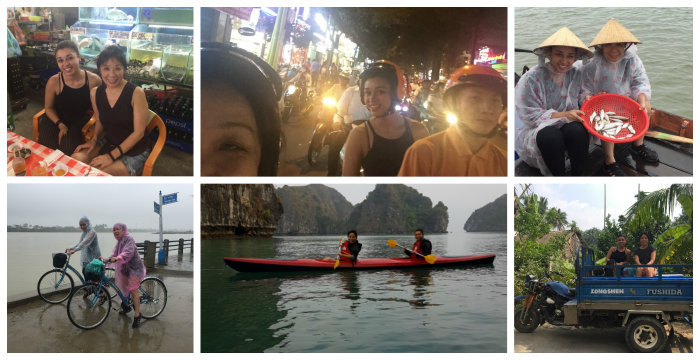 Our mother-daughter dream vacation just wrapped up 10 days in Vietnam. The trip made memories that bonded us as adult buddies for life. How marvelous to have a 21-year-old adult child who is now one of my best friends. And the trip isn’t over yet! 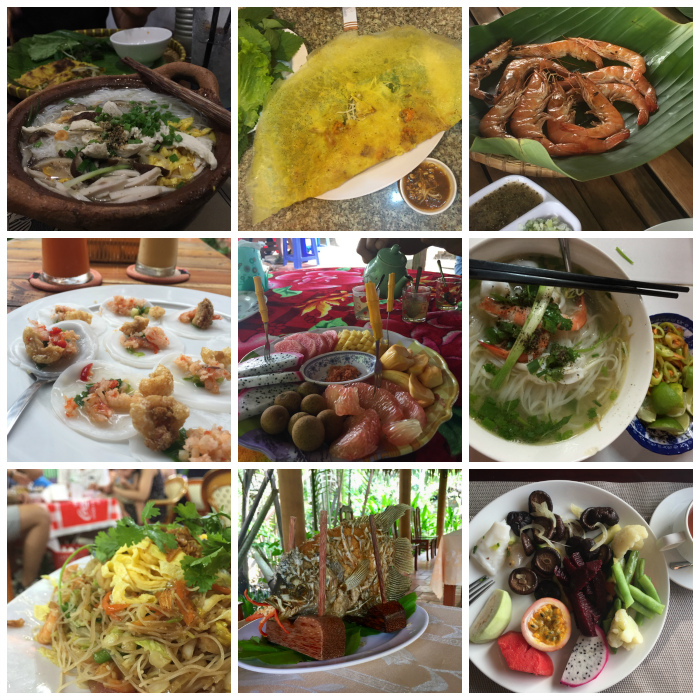 Vietnam offered us everything from nature and incredible eats to military history. Gabi and I kayaked in the misty beauty of 500-million-year-old Halong Bay. We bicycled in the pouring rain to a village where we dined on delicious, just-caught fish and shrimp from a nearby river. We visited a war museum and the notorious DMZ. 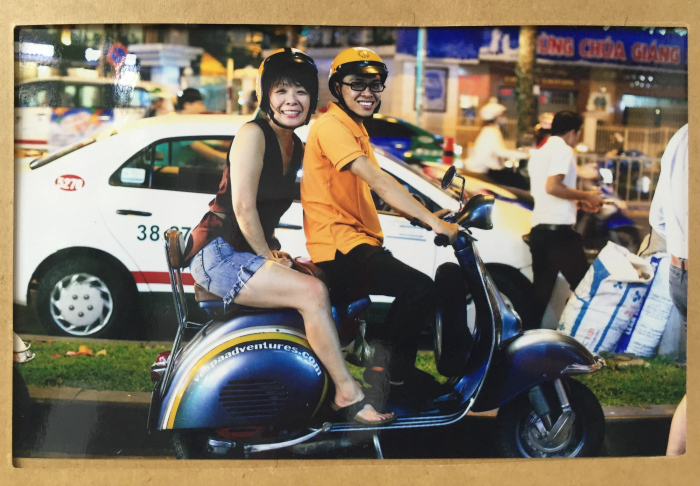 We even rode on the back of Vespa scooters in crazy traffic for super-fun nighttime eating tours. We learned new ways to see the world and, each other. In the process, Gabi and I became a team. For instance, I bought the travel guide books while Gabs booked all of our flights. When one of us stressed on this trip, the other stayed calm. We only annoyed each other when we got hangry. So we made sure to eat well — whether it was street food or tourist hot spots. This trip also schooled us on the horrible, tragic war between the U.S. and what was then a divided Vietnam (1955-1975). We crouched in bomb shelters and walked former battlegrounds. We looked at photos of both Vietnamese and Americans who were killed, maimed or born with birth defects because of Agent Orange, a chemical that the U.S. dropped on rice fields and villages. Everywhere we went, we saw alters, temples and cemeteries for the war dead. We also saw the potential of today’s Vietnam, a poor country with one of the fastest-growing economies in the world. Tourists like us can book nice hotel rooms for $40-$45 a night. Most of our meals ran only $3 to $6. At a no-frills spa, we spent a total of $60 on two 70-minute massages, a 45-minute mani-pedi for Gabi and a 45-minute deluxe pedicure for me. At these price points we traveled comfortably from the northern reaches of historically communist Vietnam, starting with the culturally conservative capital city of Hanoi. 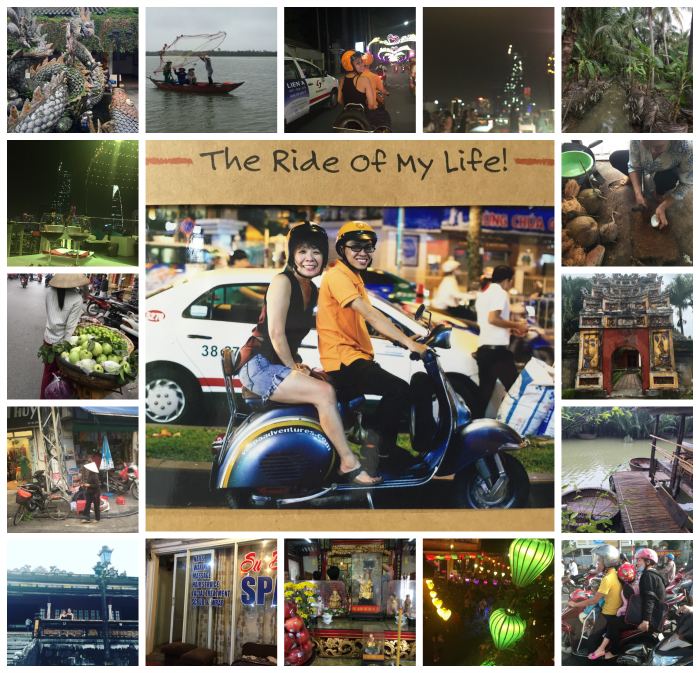 Moving through central Vietnam’s former battlefields, we ended up in the country’s largest city, Saigon. Even though it was renamed Ho Chi Minh City after the war, this metropolis of some 9 million people still has a lot of the old, free-wheeling Saigon spirit. Even though the communists don’t believe in religion, the city has temples, mosques and churches. We saw lots of Muslim and European tourists. The young LGBTQ is out here too, with openly gay couples. We ended our Vietnam journey at our hotel’s rooftop bar. Brightly-lit skyscrapers looked so glam as the dj played Drake and Rihanna tunes that made us feel at home. It was a night to enjoy being with Gabi, to raise a toast to us — and also to my late dad. If you have any questions about my trip just ask in the comments below. What about you? I’d love to hear about your favorite vacation memories and what they mean to you. Thank so for sharing again how important roots and family are. So glad all went well. Peg, I feel really peaceful about my dad and the past now. It’s been wonderful to feel that connection humming in the background while I enjoyed being with my daughter. Thank you for the support! What an awesome trip for you and Gabi! Thanks so much for sharing your experience. Thanks for reading, June. This has been such an amazing trip. What an awesome experience for you both! It totally makes me want to go and visit. Thanks for sharing! But also …. did you eat the big fish served on planks of wood at the bottom center of the food photos. And how was it? Amanda, yes, we ate the fish! It was very tasty. The outside was fried without batter. It tasted like a freshwater river fish — soft and light-colored chunks. With the fish standing up like that, the served simply used a fork to scrap the flesh off the bones. It was an easy way to do an informal fillet! I joined the U.S. Army when I turned 18 with the intention of going to serve in Vietnam. Fortunately for me, they did not send many enlisted women there so I was never selected. However, my younger brother got sent against his will. He returned a guilt-ridden alcoholic. I too, suffered from guilt for wanting to go and for taking the place of a male soldier in non-combat service. I believed in the war as many of us did in the beginning – only to realize it was not the humanitarian effort we were mis-led to believe. Your article made me feel much better, to know that the land, at least, has recovered somewhat. I hope that you are able to share more about your trip -in a book perhaps. 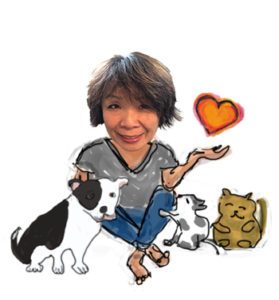 June, thank you for sharing your story — and your brother’s. Now that I’ve gotten a sense of what the war meant up close, I really appreciate the service you both gave. The sacrifices on both sides mean so much. I’m glad to be useful and I definitely have more to share on this topic. We are all products of that horrible war, one way or another. This is going to sound so corny. But I believe was can use what we know to make peace.